TUESDAY, Nov. 10, 2015 (HealthDay News) -- A simple blood test may one day be able to detect concussions in children, a new study suggests. The test, which has already been used in adults, detected traumatic brain injuries in kids 94 percent of the time. More important, a negative result means a CT scan, and the radiation exposure it brings, may not be needed the researchers said. "When a child comes in with a head injury, we have to decide whether they have a concussion," said study author Dr. Linda Papa, an emergency medicine physician with Orlando Health in Florida. "We also have to decide whether the child needs a CT scan," Papa added. "CT scans are not harmless." A CT scan exposes the child's brain to radiation that can cause damage, Papa explained. "The more we avoid CT scans, the better it is for the patient," she said. 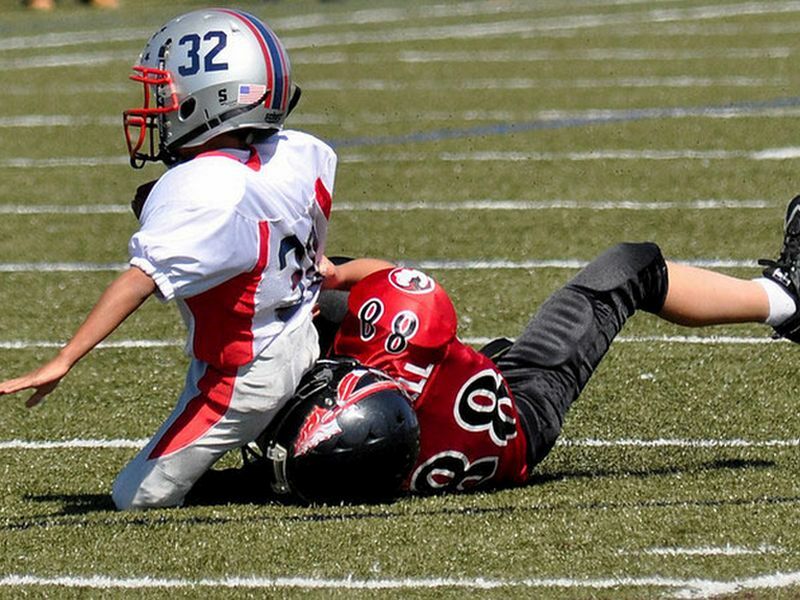 About 250,000 kids are treated each year for brain injuries such as concussions, according to Papa. A simple test that could take the guesswork out of diagnosing these kids could change the way concessions are identified, she said. Papa developed the test, but has no financial interest in it. "For my patients, I think it's going to make a huge difference. I didn't do this for financial benefit, I did it because I wanted to have a blood test that we could use to help people," she said. The study, which was published in the November issue of the journal Academic Emergency Medicine, was funded in part by the U.S. National Institute of Neurological Disorders and Stroke. The blood test measures levels of glial fibrillary acidic protein (GFAP). This protein is found in cells that surround neurons in the brain. When the brain is injured, GFAP is released into the bloodstream, making it easy to detect, Papa said. For the study, 152 children with head injuries were given the blood test and underwent CT scans. Papa and her colleagues compared the results of the scans with results from the blood test. The blood test was done within six hours after the injury. CT scans were able to identify patients that had suffered traumatic brain injuries. However, the blood test detected symptoms of concussions even when brain injuries were not visible on the CT scan, Papa said. The blood test was also able to give doctors an idea of how severe the brain injury was, she said. Levels of GFAP were lower in mild cases, but were much higher in severe cases, she added. Concussions in children are currently diagnosed by symptoms alone, such as vomiting, balance problems, headaches, blurred vision or feeling groggy. Papa hopes to develop a mobile test that could be given when and where the injury occurs. This test could be used on the playing field to help coaches, trainers and athletic directors make decisions about whether the child can get back in the game, she said. The researchers plan to do more study to validate their results in a larger group of children, and they hope a test will be available within the next five years. "We will have a blood test that will help doctors make better decisions," Papa said. "Maybe we can stop doing so many CT scans, and prevent damaged brain cells and the increased risk for cancer." Dr. John Kuluz, concussion director at Nicklaus Children's Hospital in Miami, said that reducing the number of CT scans is a huge benefit of having this test. "CT scans are expensive and dangerous," he said. "This test is really going to help us to limit CT scans and improve the reliability of our diagnosis."